Photos courtesy of George Beppu & Brian Roache. 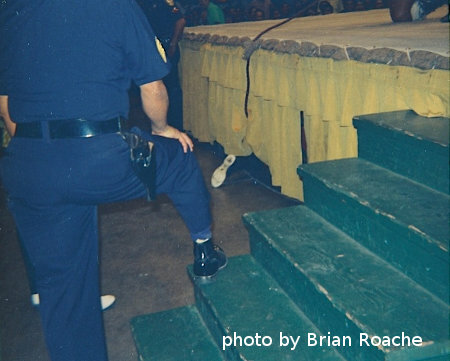 On August 28, 1968 promotor ED FRANCIS presented a professional wrestling card at the Honolulu International Center Arena featuring two tag team matches, a Hawaiian Championship match, a United States title match and an Indian Death Match. In the opening match Peter Maiava and Dean Higuchi battled to a draw with the team of Harry Fujiwara and The Magnificent Maurice. In the next match Freddie Blassie and Ripper Collins defeated Pepper Gomez and Pedro Morales. 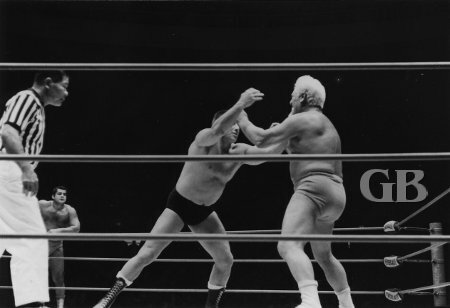 Pepper Gomez confronts Blassie as a young Pedro Morales looks on from outside the ropes. 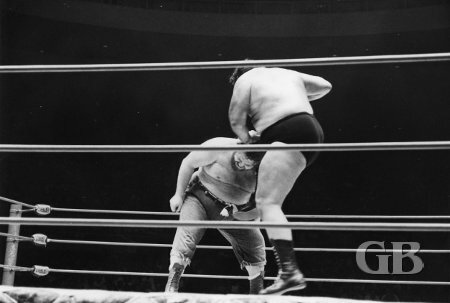 The first championship match of the night had Curtis Iaukea putting his Hawaiian Heavyweight title against Klondike Bill. 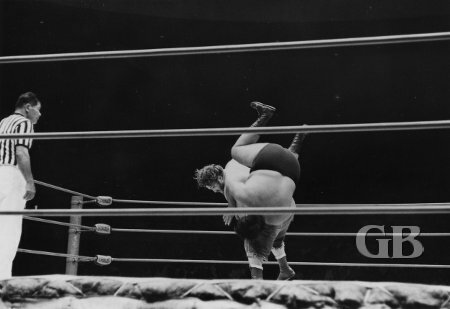 After both wrestlers split falls, Klondike Bill used his feet on the ropes to pin Iaukea to win the match and the championship. 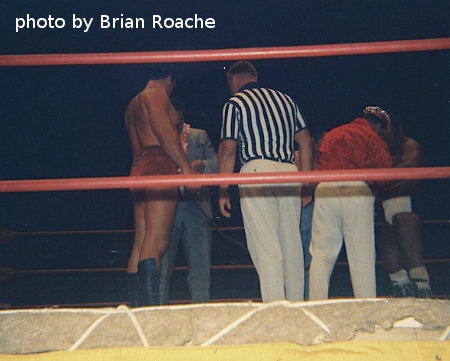 The match was filmed for Kgmb's "Wrestling from the HIC" tv show. After seeing a film of the match Promotor Ed francis ordered Klondike Bill to give Iaukea a rematch for the title. 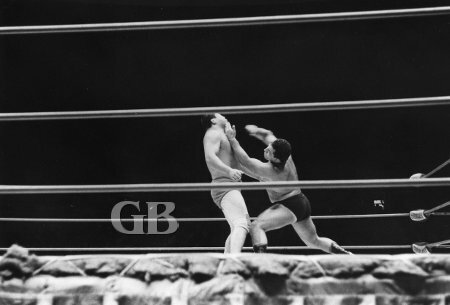 Klondike Bill snatches the Belt away and stomps on Curtis Iaukea. Klondike Bill body drops Iaukea. 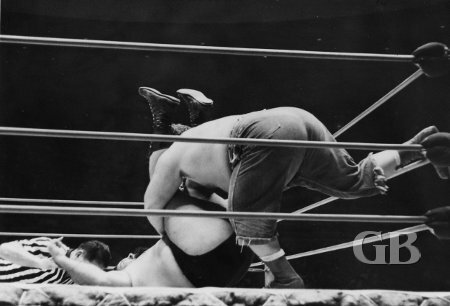 Curtis Iaukea rakes his boot laces across Klondike Bill's head. A test of strength between the two giants. 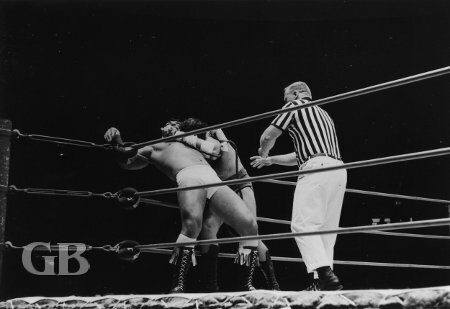 Klondike Bill illegally pins Curtis Iaukea using the ropes. In the next title match Jim Hady retained his United States title when Mr, Satio was disqualified for illegal tactics after each wrestler had split falls. Jim Hady flies through the air while barrelling into Mr. Saito. Hady delivers a judo chop to Mr. Saito's neck. 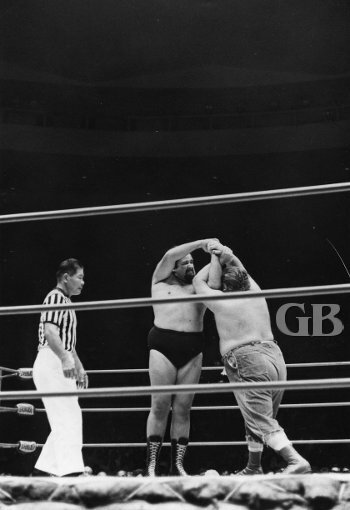 Mr. Saito applies a headlock/choke hold on Jim Hady. 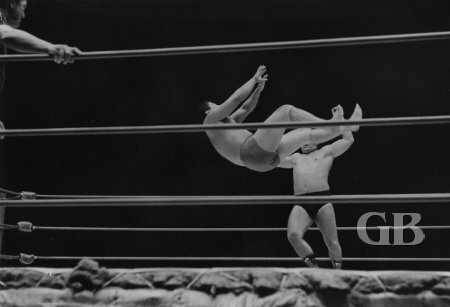 Jim Hady steps aside as Mr. Saito misses on an attempted drop kick. 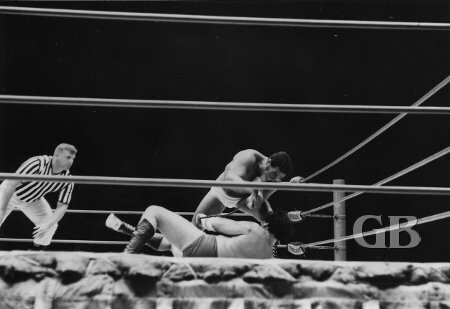 The main event featured an Indian Death match between Johnny Barend vs. Billy White Wolf. This match was nearly a year in the making. 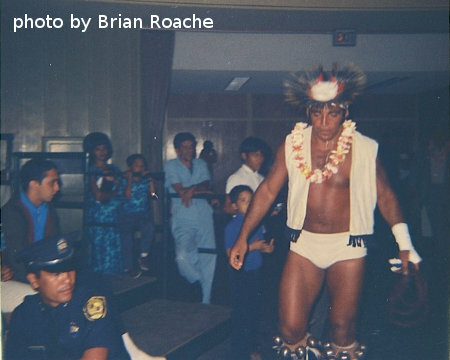 Back in august 1967, during KGMB's studio show "50th State Wrestling," Curtis Iaukea attacked Billy White Wolf while he was in the ring still wearing his Indian head gear. Iaukea ripped off the head gear and tore it up, spewing pieces all over the ring and in the audience. Wrestling fans in the studio started picking the features up and kept them. Over the next year, White Wolf asked fans to return the features. Over the next year every feature was returned except one. As a result of this White Wolf stated that the tribual head gear was worthless without the missing feature. Then all of a sudden Johnny barend appeared on TV with the missing feature. White Wolf asked Barend to return it and Barend refused. Then White Wolf called out Barend to wrestle him in an Indian death match. Barend agreed with one condition: that if White Wolf lost the match under any conditon, then White Wolf would have to give Barend all of his tribal Indian possessions, White Wolf agreed. Johnny Barend works over Chief Billy White Wolf in the corner. White Wolf gets back at Barend in this Indian Death Match. Chief Billy White Wolf heads out to the ring in Indian attire. White Wolf's second, Peter Maivia, checks Johnny Barend's wrist strap while Friday Allman does the same with White Wolf's. 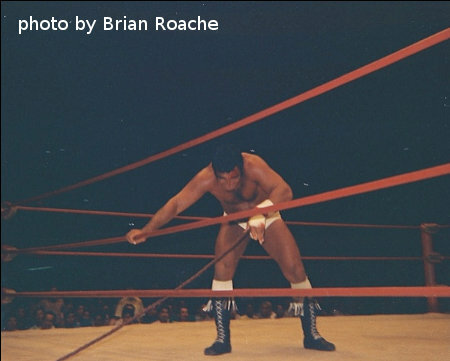 The match was set, both wrestlers entered the ring and were tied to each other by a leather strap. The bell rang and the match began. During the match, Barend wound up on the arena floor while White Wolf was still on the edge of the ring. Barend then started going under the ring and broke the strap from his wrist and tied it to the frame under the ring post. As White Wolf tugged on the strap, Barend crawled to the other other side under the ring came up and attacked White Wolf from behind, knocking the referee out and onto the arena floor at the same time. As Barend was getting the upper hand on White Wolf, Jim Hady ran out to the ring to help White Wolf out. When the referee finally woke up and saw Hady in the ring, he ended the match and disqualified White Wolf for outside interference. Barend was declared the winner. Barend goes under the ring to with the strap. White Wolf is on the other end of the strap wondering what's happening. As a result of the match, White Wolf was forced to give Barend all of his indian posssessions the following Saturday on KGMB's "50th State Wrestling" show. Johnny Barend comes out from under the ring without the leather strap.